Austria is a member of the EU and has signed the Schengen Agreement that standardises border controls (effectively it allows unlimited travel within the member countries). The Schengen area contains all of the EU except Ireland and the United Kingdom. Switzerland, Iceland and Norway are not EU countries, but part of the Schengen agreement (not ratified at the time of writing). Tourist visa are issued by the country to which you want to travel to, but valid for all countries in the Schengen area. For example, if you have a Schengen visa from Austria, a day-trip to Italy is perfectly legal without further permissions. Travel rights, work permits and almost all other citizen rights are equal for Austrians and other citizens of the old EU members (some new members of Eastern Europe require work permits). Citizens of the European Economic Area, the United States, Canada, Israel, Japan, Korea, Malaysia, Singapore, most South American countries, Australia and New Zealand do not need a visa for a stay in Austria up to three months. In theory, there is a general obligation to carry an ID in Austria. Practically, Austrians are never checked in daily situations - as a foreigner, however, you should carry a driving license, ID or passport. Q-Z: Qatar, Russian Federation, Rwanda, Samoa, Sao Tome and Principe, Saudi Arabia, Senegal, Serbia and Montenegro, Seychelles, Sierra Leone, Solomon Islands, Somalia, South Africa, Sri Lanka, Sudan, Suriname, Swaziland, Syria, St. Lucia, St. Kitts and Nevis, St. Vincent and Grenadines, Taiwan, Tajikistan, Tanzania, Thailand, Togo, Tonga, Trinidad and Tobago, Tunisia, Turkey, Turkmenistan, Tuvalu, Uganda, Ukraine, United Arab Emirates, Uzbekistan, Vanuatu, Vietnam, Yemen, Zambia, Zimbabwe. This data was collected in 2005, I cannot guarantee that this is still accurate. Visa agreements are always subject to change, so if you are in doubt, you should check with your embassy or consulate in Austria. Alternatively, ask the ministry of foreign affairs of your country. 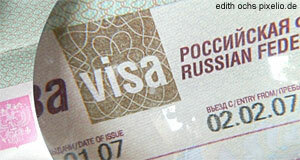 Tourist visa are valid for three months and entitle you to enter all countries of the Schengen Agreement. They do not allow you to work in Austria. Everybody who is not a EU citizen, Swiss or from Liechtenstein requires a work permit in order to work legally in Austria. These are issued to individuals and cannot be expanded to other members of your family. They cannot be transferred either. Everybody (Austrian, EU or anything else) who lives in Austria (meaning: goes into residence) has to register with the local authorities (communities). Thereby, you will obtain a Meldezettel (document of registration). Work permits are issued in decreasing numbers; Austria′s immigration policy has become more restrictive in recent years. Income tax in Austria is very high and progresses from nothing (non-taxable) up to 50 percent for high salaries. Social insurance, health insurance and pension payments are compulsory in Austria and will be automatically taken from your monthly pay check. Your employer will do most of the tax work for you and will be able to give you more detailed information about your net income (money after tax and insurances).